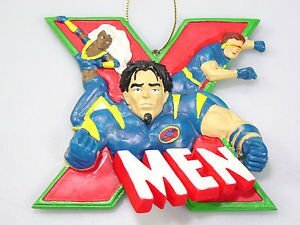 2003 Marvel X Men featuring Wolverine, Cyclops and Storm. By Kurt S Adler Inc. great condition. Please zoom in on photos for detail as pictures are part of the description.If you have any questions, please contact me before purchasing.We have a smoke free environment.